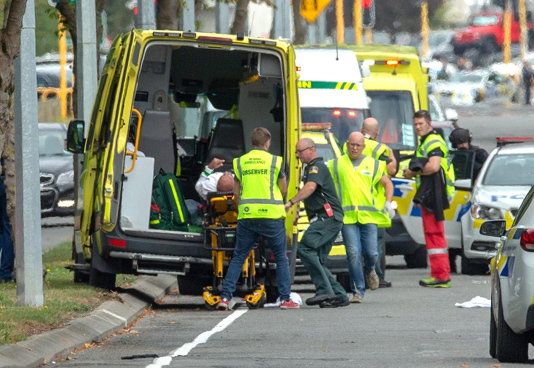 Foreign Minister Dr AK Abdul Momen today said as per the latest official reports from New Zealand the death toll of Bangladeshi expatiates at gun attack in Christchurch mosques raised to five while one is still missing. “Our mission in Australia imposed the travel alerts on the day of shooting and still we keep the alert for our citizens until further notice,” he said. Momen said the New Zealand government has informed Bangladesh that they will take one close relative from each of the victims’ families to New Zealand and they will be able to bring the bodies back home. He said the foreign ministry assigned one of its officers– Mohammad Walid Bin Kashem– as the focal point here to oversee the situation and provide necessary support to the relatives of the victims residing here. He could be contracted over his mobile phone – +88-01713-111227. Bangladesh does not have any embassy in New Zealand as Dhaka’s High Commissioner in Canberra is concurrently accredited to the neigbouring country while Dhaka appointed a honourary consul in Auckland to look into the Bangladesh’s interest in New Zealand. After the incident Bangladesh Honorary Consul in New Zealand Shafiqur Rahman Bhuiyan and the Bangladesh Deputy High Commissioner in Australia along with a official reached Christchurch from Auckland and Canberra to provide necessary support to affected Bangladeshis there. Fifty people were killed in terror attacks on two mosques during Jumma’a prayers in Christchurch on Friday.